Developed by our engineers, the new Ear benefits from a completely new surface mount PCB layout based on the hugely successful Brio-R amplifier. Exceptional performance is guaranteed with the convenience of independent mute, volume control and multiple connectivity options to integrate perfectly into any users system. 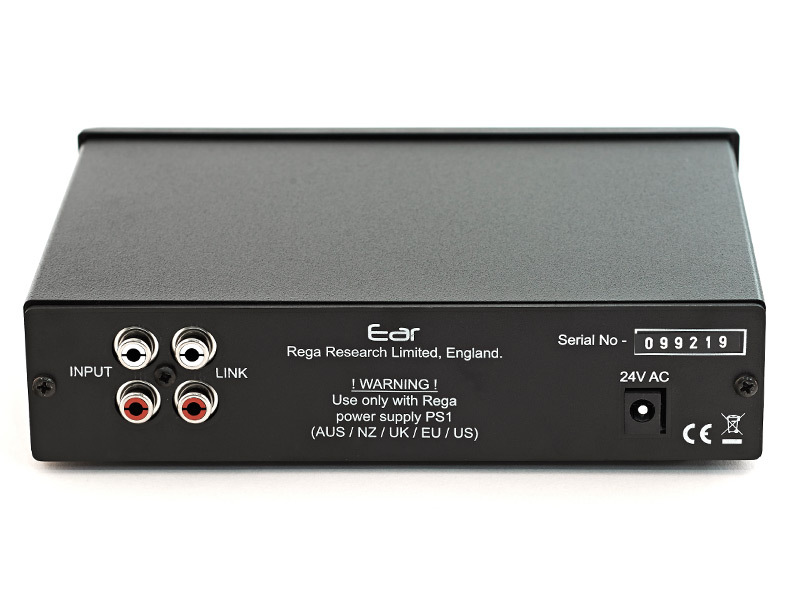 The Ear pushes the Brio-R power amplifier circuit concept to a new level with the use of a low noise, fully regulated, supply. Noise has also been kept to a minimum by the use of an external mains transformer. The Ear exceeds the voltage requirements of IEC 268-15. 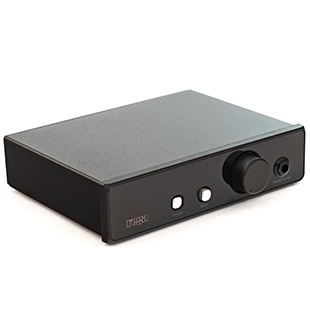 This along with low output impedance makes it suitable for studio use as well as a hi-fi headphone amplifier. The Ear operates in Class A at normal listening levels. The Ear utilises the highest quality components and our engineers’ experience, to achieve the best sonic performance. Utilising the design ideals of the ‘cascaded emitter follower output stage’ with a pair of complementary Darlington output transistors, along with polyester film and Nichicon FG capacitors in critical positions, ensures it is our most advanced performing headphone amplifier to date. Housed in a compact custom case, the Ear is designed to match the current range of Rega electronics with a matching, high gloss, front fascia. The new Ear Headphone amplifier benefits from an all new extruded aluminium case and new styling giving it more of a family feel to match its illustrious big brothers. The Ear simply connects to the tape output of an amplifier via phono leads. The headphones are plugged into the front panel and there is a link socket in case you need your tape output sockets for other use. Dimensions: Width 178mm x Depth155mm x Height 45mm.